Character is the foundation of advocacy. 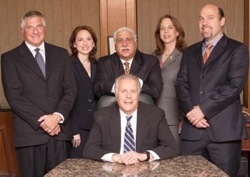 We promise to deal fairly and honestly with our clients, the courts and even our adversaries. This the hallmark of CG&M’s philosophy. Imagination, understanding and integrity animate the advocate. The best lawyers know that high standards of ethics are the most effective form of advocacy. Our firm seeks to provide its clients with the most vigorous representation, consistent with the highest ethical standards. We give personal, individual attention to every case.